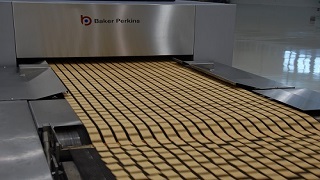 An increasing number of biscuit companies combine the best baking methods by specifying a hybrid oven. 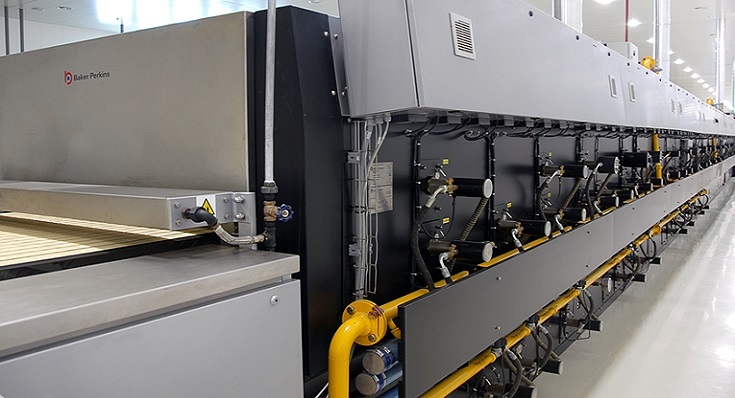 DGF (direct gas fired), direct convection and indirect convection baking all have characteristics that are ideal for one part of the process but not necessarily all of it. 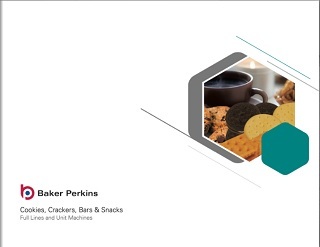 Combining the benefits can create a unit that exactly matches a specific need for any kind of biscuit, cookie, cracker, bar or pet food. 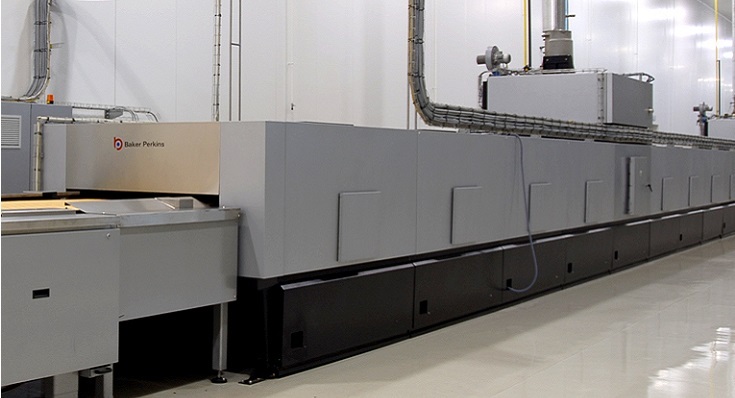 DGF, direct convection and indirect convection all have varying heating, thermal efficiency, heat transfer and airflow characteristics that affect product quality. 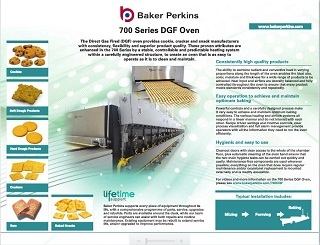 Most hybrid ovens feature a DGF section for the first part of the bake. At this point, air movement is often undesirable as it dries the outer layers and prevents proper flow and lift: radiant heat without turbulence is preferred. 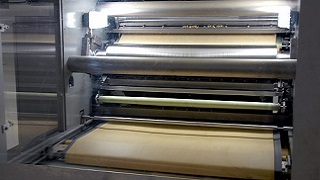 During the drying and colouring process in the later stages of baking, air movement is beneficial so a convection section is specified. 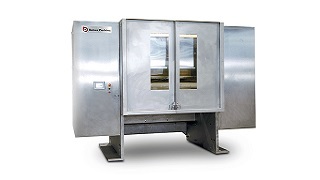 The DGF/Convection hybrid is the best baking option for most types of product. 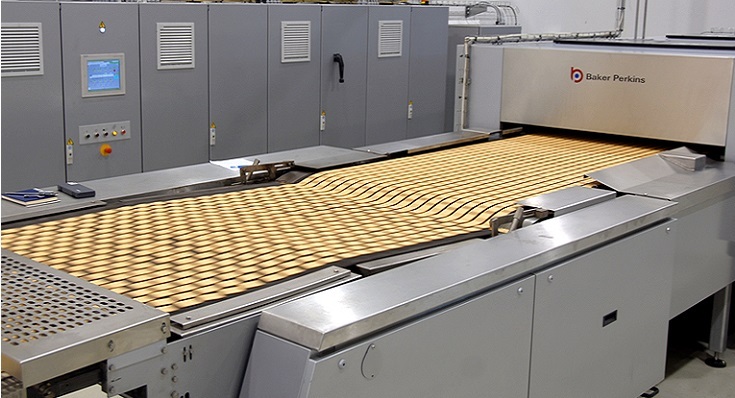 In the DGF sections process conditions can vary from low temperature, non-turbulent, high humidity for cookies through to high temperature baking for crackers. 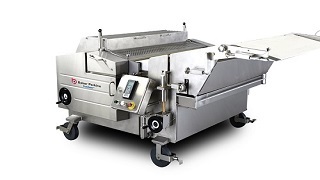 The rapid air movement of the convection section is ideal for drying and cooling most types of product. 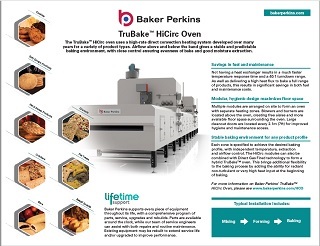 This versatility enables a range of products to be baked on the same oven, limited only by the choice of band. 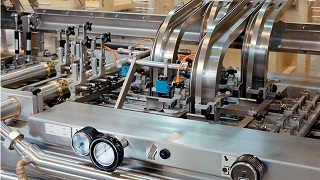 If production needs change, the oven can be adapted with minimum modifications to bake a completely different range of products. 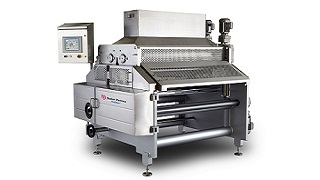 1,016, 1,220, 1,520 and 1,880mm wide hybrid ovens are available.